This blog focus on uplifting christian article such as family,relationship, ministries,fashion,health, recipes, juicy-gist and much more. 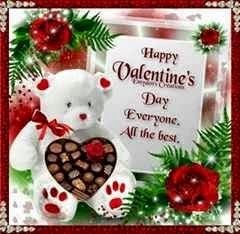 Happy Valentine's day to all our Readers and Fans, have fun and becarefulllll. Subscribe This Blog By Email & Get Updated!!! “KONJI” What’s It All About? READ! READ!! READ!!! Copyright 2015.Adenike Salako Blog'sWorld. Watermark theme. Powered by Blogger.